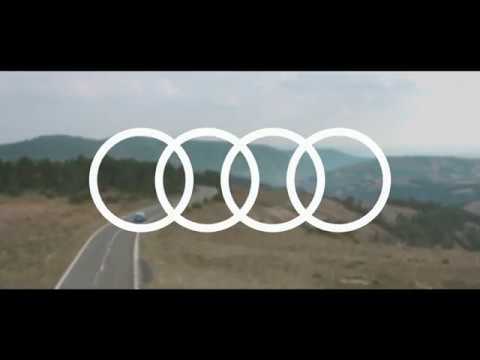 Meet the all new Audi e-tron. The all-new all-electric Audi e-tron. The Audi e-tron is everything you would expect from an Audi, powered entirely by electricity. With its aerodynamic design and elegant, luxurious cabin, e-tron marks a new era, not just for those seeking the benefits of electro mobility, but for everyone who demands the driving experience of an Audi. Driven entirely by two electric motors that can produce up to 300kW of power, the Audi e-tron is capable of sprinting from 0-100 km/h in under six seconds. And with a range of over 400 kilometres*, the e-tron heralds a new era of electro mobility. For home charging, the Audi e-tron comes with a compact mobile charging system that can be used directly with a standard power outlet. Using the 400-volt outlet, the battery of the concept can be fully charged overnight. Audi is working on expanding the charging infrastructure in Ireland through a joint venture called IONITY. This is a European venture aimed at building the most efficient charging network for electric cars. It will see six stations built in Ireland, with over 30 charging points planned for service areas on major routes. When it comes to charging at a fast charge station with up to 150 kW, the e-tron takes just 30 minutes to be charged to 80% and 50 minutes to be charged to 100%. With the Audi e-tron, Audi Design has translated the brand’s fundamental design language for the electric age, both inside and out. New, stylistically defining details, such as the daytime running light signature, the electric charging flap, the lack of exhaust pipes and stitching on the seats that are reminiscent of an electric circuit board, give a clear signal that the Audi e-tron is fully electric. One of the main design highlights are the optional virtual side mirrors. The Audi e-tron uses the networked intelligence of Audi connect to help you plan your journeys. 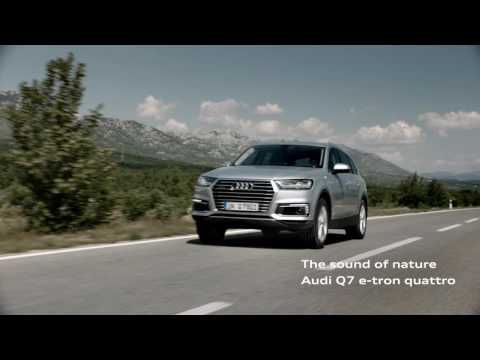 Whether through the in-car MMI system, the myAudi smartphone app or desktop website, e-tron offers a range of Audi connect systems, including a route planner. This calculates routes and highlights charging stations, the estimated charge time and incorporates traffic data to calculate your arrival time. With this easily-planned schedule, the e-tron is as suitable for long trips as it is for everyday use. The Audi e-tron comes in a range of colours, including the exclusive Antigua blue. The e-tron logo on the electric charging flap stands out in the high-voltage signal colour orange.